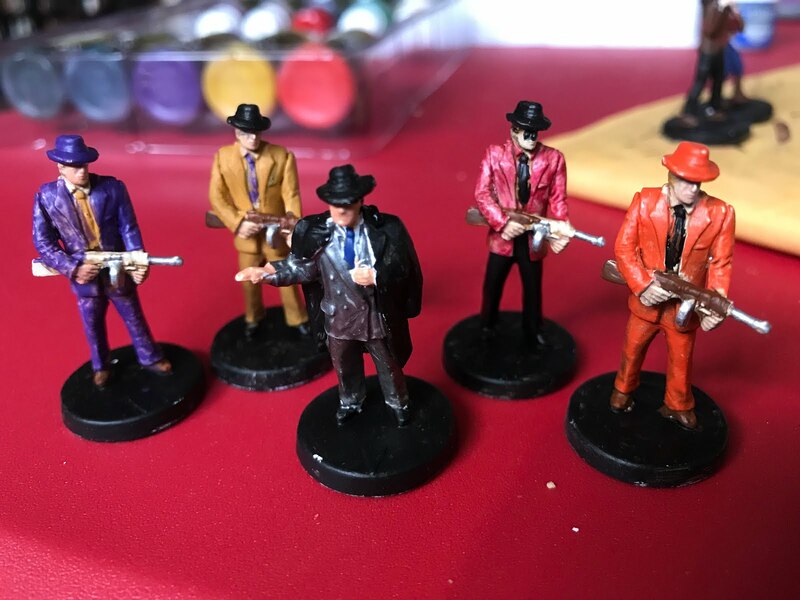 Here are some more freshly-painted mobsters for Fortune and Glory. I'm most happy with Mr. Grey, centre, with his grey suit and black overcoat. Mr. Orange looks pretty slapdash, while Mr. Red and Mr. Purple each need another coat, I think. Mr. Yellow doesn't look too bad.